Dresser - Can you please share who is the manufacturer of the dresser? Love it! Thank you! Do you know what paint color is used on the dresser? Unfortunately not. 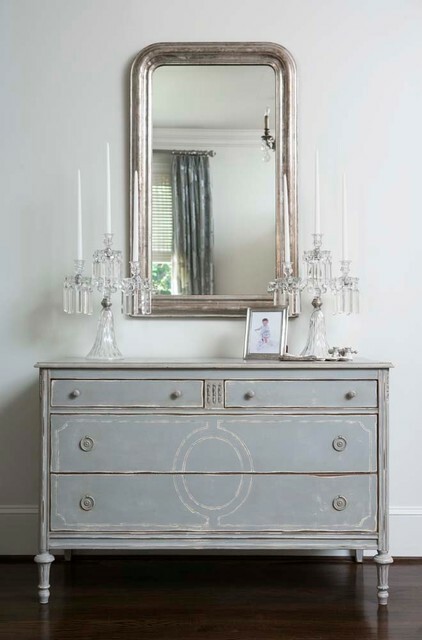 This antique dresser was purchased in this paint color. Can you share what paint color is used in this room? Absolutely gorgeous home!! Thank You! The paint is Sherwin Williams Natural Choice.